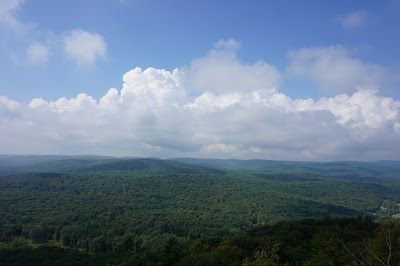 This was a warm September day. 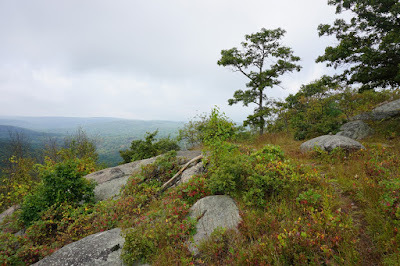 It started off foggy and cloudy, with poor visibility, but then the sun came out towards the end of the hike. I have been to this area many times, to the southern portion of West Mounain. This area features very scenic scenery with good scrambles and views. 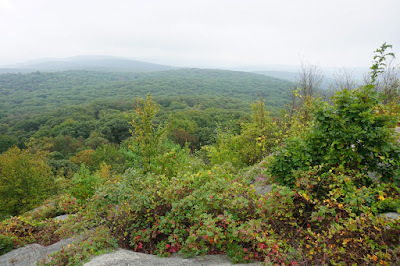 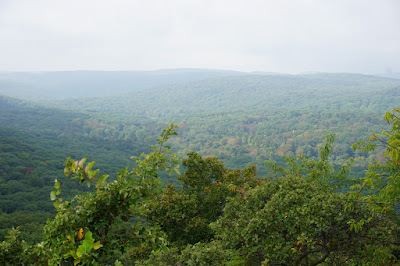 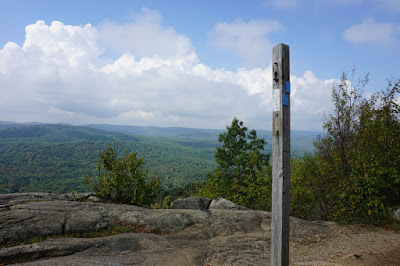 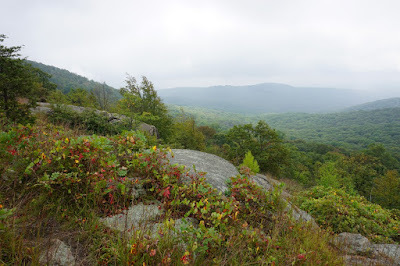 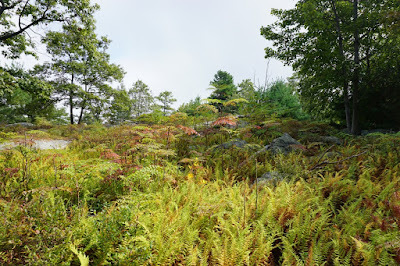 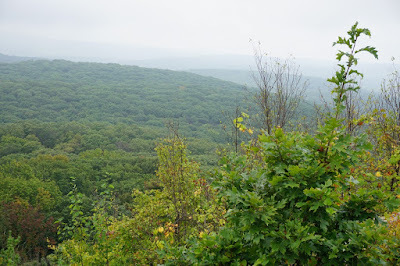 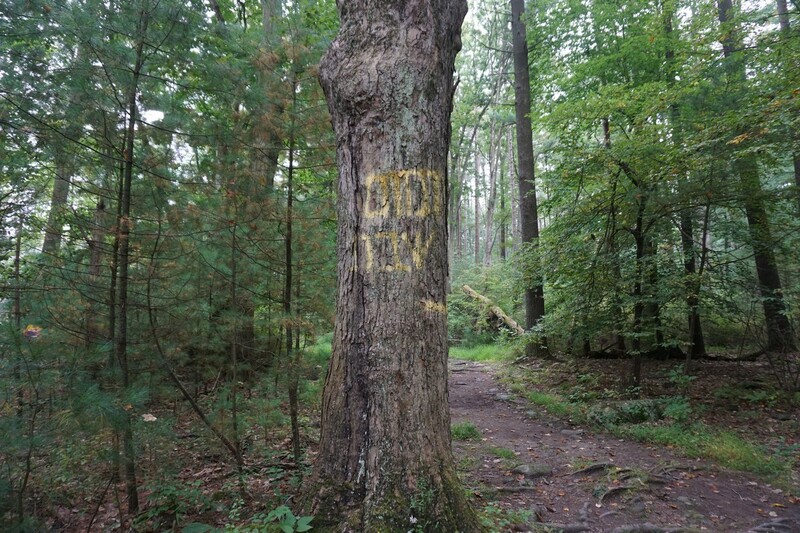 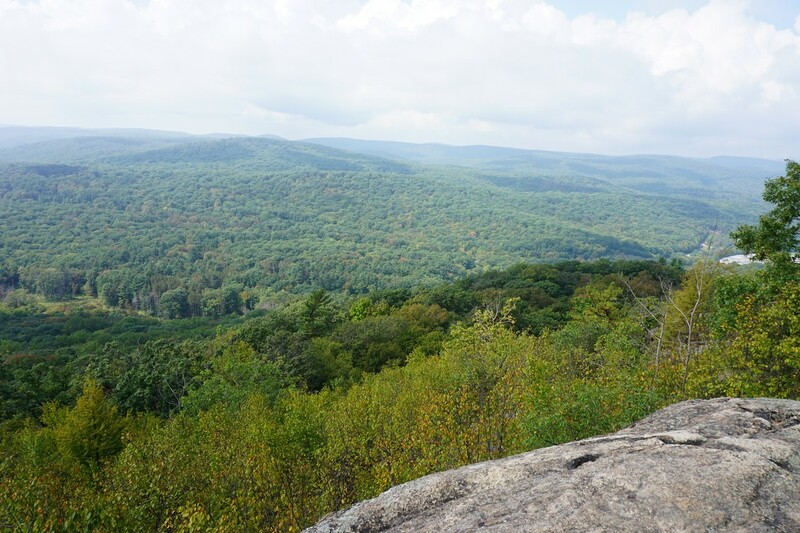 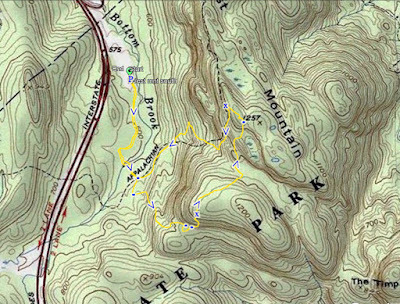 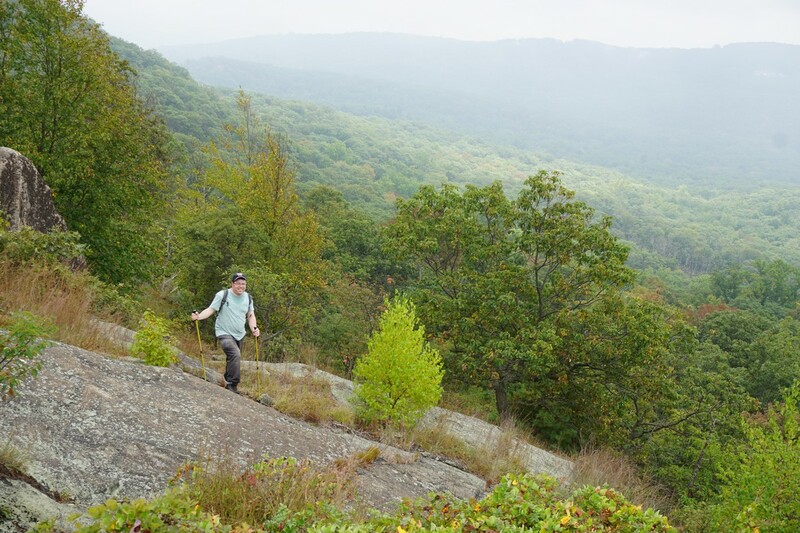 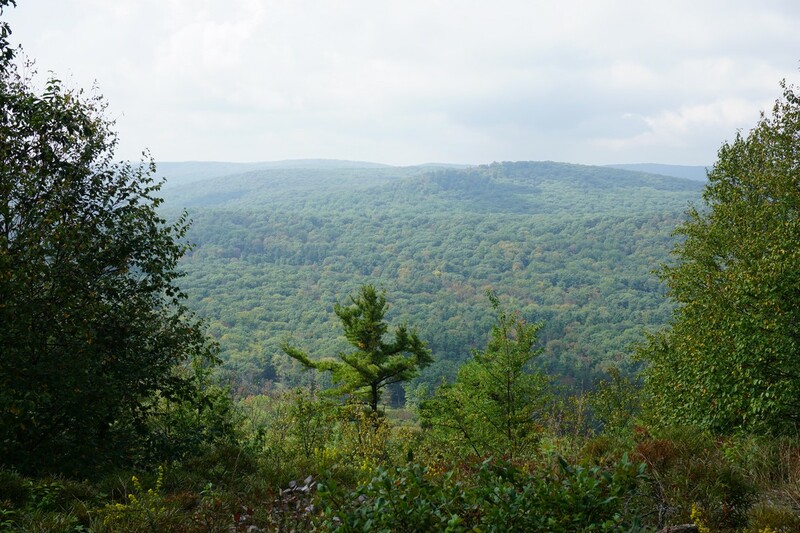 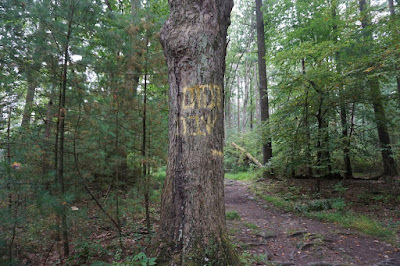 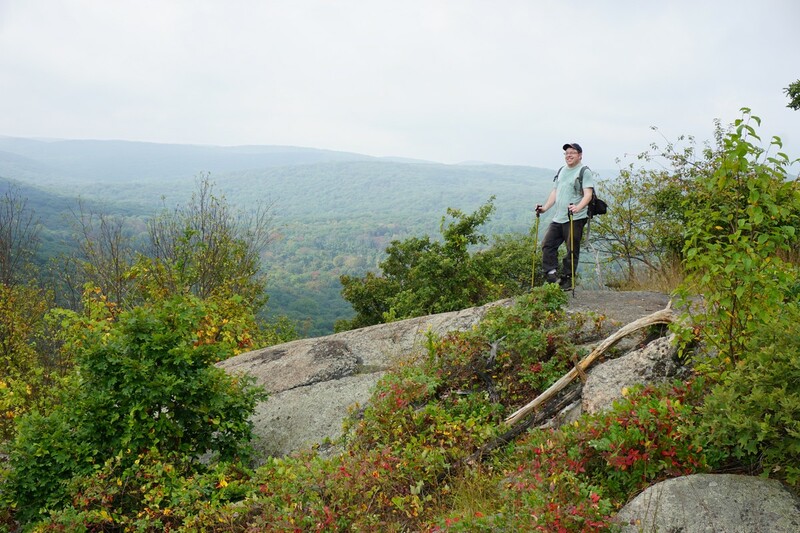 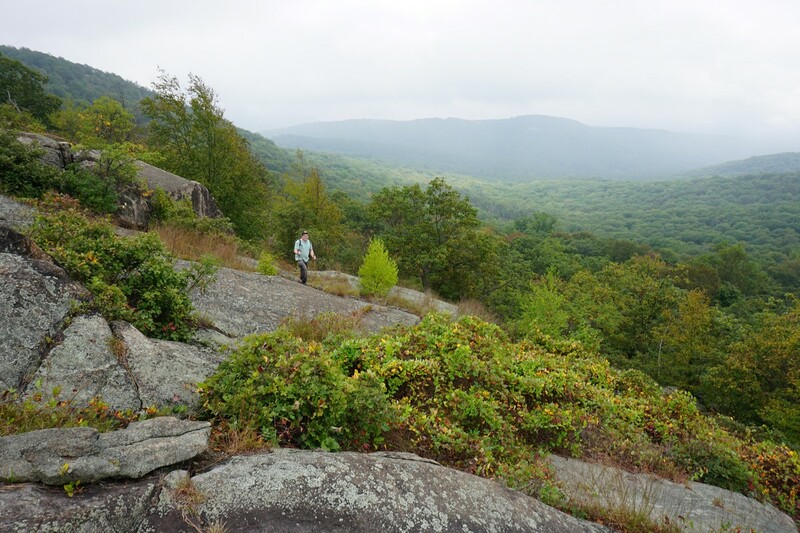 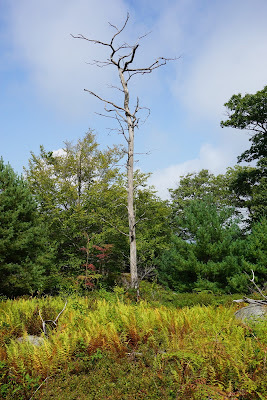 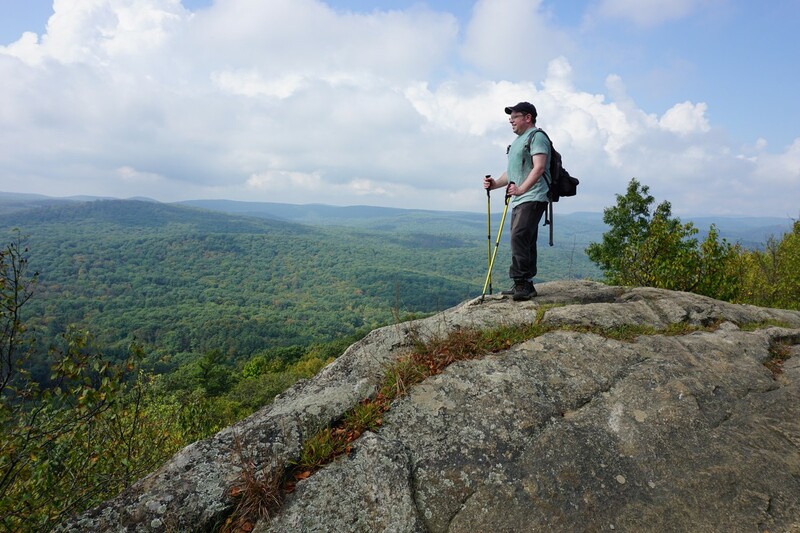 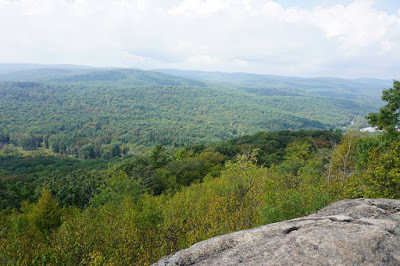 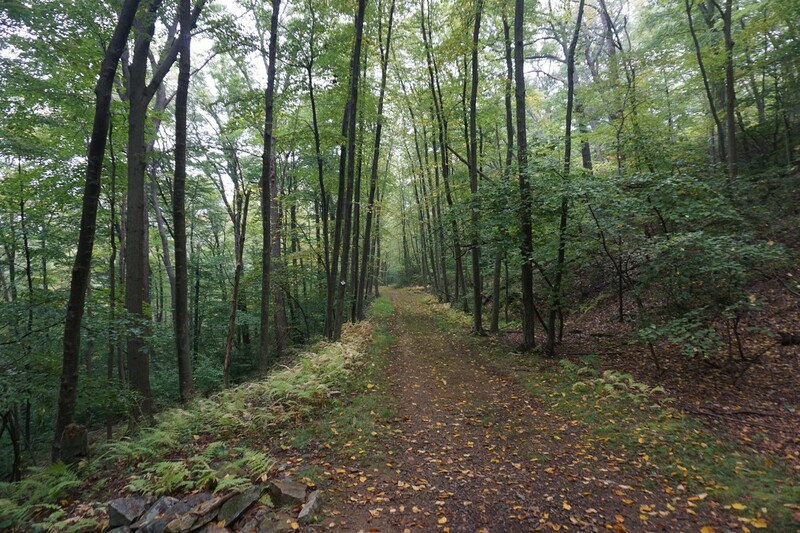 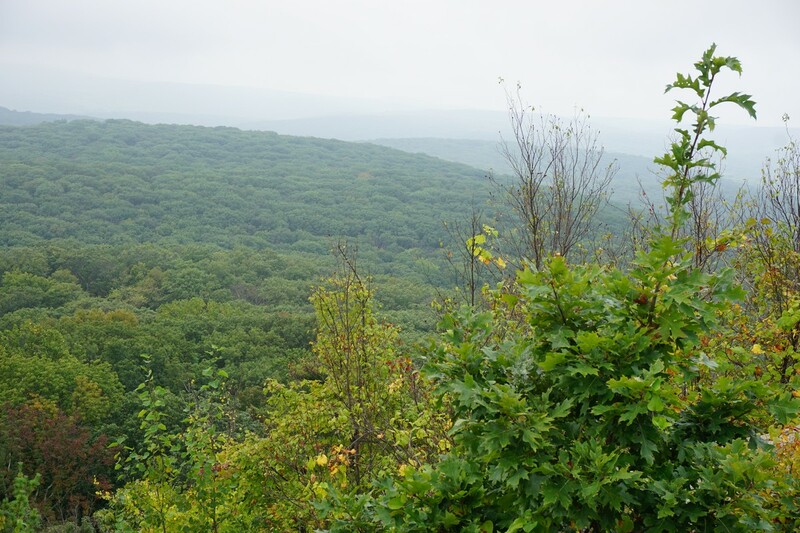 However, despite being here many times, I never climbed up the Suffern-Bear Mountain Trail along the southern approach to West Mountain, and have only climbed down. 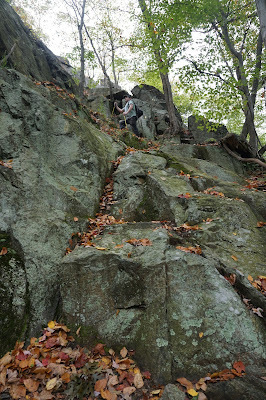 This is a great scramble, being very steep and dramatic, with a great view on the top. 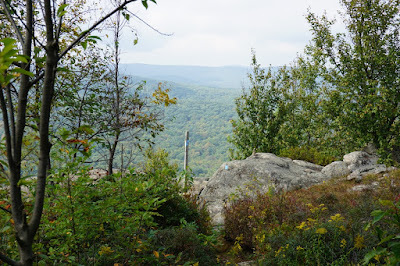 We parked at the south end of the Anthony Wayne Parking area, and took the bike path trail to the Ramapo-Dunderberg Trail, which took up the mountain. We then cut across a short distance to the Suffern-Bear MOuntain Trail where we climbed the last ascent up the steep Fire Escape Scramble. This area, listed as the "Cat's Elbow" on the current NY/NJ Conference maps, is listed as the "Fire Escape" on old maps. 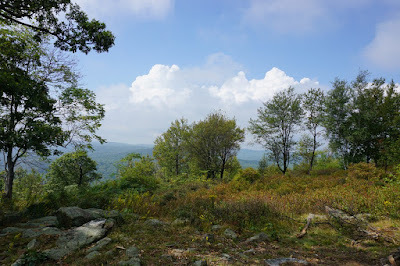 From there we went up and over the ridge, going through the valley and then back up to one of the main views at West Mountain. 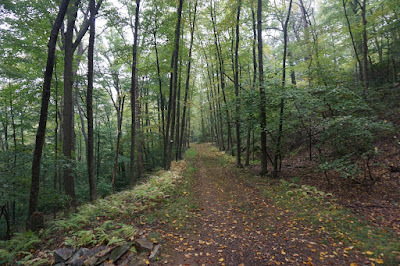 We then went down along the Appalachian Trail, back to the Bike Trail and then back to the car.